Rio de Janeiro: North Korean weightlifter Om Yun-chol lifts a barbell during the men's under-56kg weightlifting competition at the 31st Summer Olympic Games at Rio centro Pavilion 2 in Rio de Janeiro on Aug. 7, 2016. Om, the defending Olympic champion, won the silver medal with a total of 303 kg and delivered North Korea's first medal at the Rio Games. 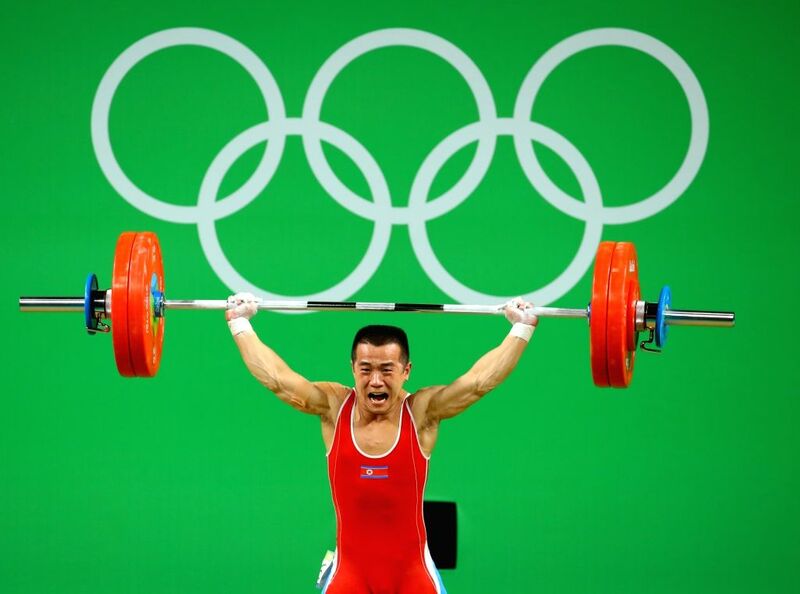 Long Qingquan of China won the gold with a world record total of 307 kg.